DBA Average Weekly Wage: How To Keep From Getting Ripped Off | The Turley Law Firm P.C. If you are a seriously injured Defense Base Act claimant (meaning you have a Defense Base Act claim) - you need to know the facts of life. Here, we give it too you straight. No sugar added. Just good old fashioned truth. The Defense Base Act is a wages driven workers' compensation scheme. Your temporary disability and your permanent disability benefits are driven by your wages. Generally, the higher your wages the more your temporary and permanent disability benefits will be. This is because under the DBA it is a wage loss concept. Because of this, the Defense Base Act insurance company will try and calculate your average weekly wage (AWW) as low as possible. In effect, denying you, and your family much deserved compensation benefits. Quite literally, taking food off your family's table. How this plays out in the real world is the DBA insurance company will try and calculate your AWW using both overseas earnings and your State-side earnings. If you are a seriously injured Defense Base Act worker, this is one of the many reasons why you need to hire the best DBA Attorney you can find. The current maximum compensation rate is $1510.76. 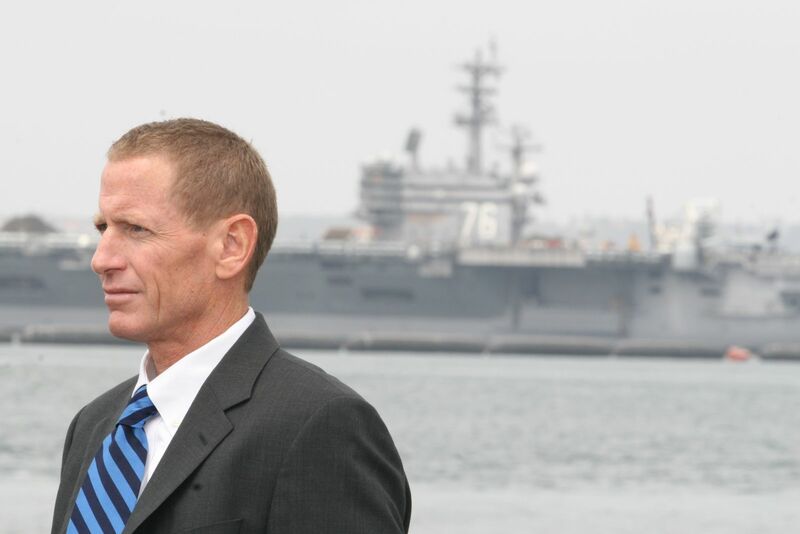 Most of you know that the Defense Base Act falls under the Longshore and Harbor Workers' Compensation Act. Or the "Longshore Act" or "LHWCA." Generally, under the Longshore Act and Defense Base Act a Claimant's (read: injured worker's) average weekly wage is determined by their earnings 1 year or 52 weeks before their date of injury. If you have worked overseas as a DBA worker for over a year, this may not be an issue in your Defense Base Act case. However, if you have worked overseas for less than a year than this may be a huge issue in your case. Let's see why. Truth be told, average weekly wage is probably the most heavily litigated issue under the Longshore Act/ Defense Base Act. And there are special rules for DBA workers' that don't apply to Longshore workers. Under the DBA - in some circumstances - your average weekly wage can be based solely on your overseas earnings. Courts have held that where a DBA worker has a one year contract and is injured before they have completed the one year contract, the injured DBA workers' AWW can be calculated solely on the overseas earnings. Under the DBA, compensation is two-thirds of the your average weekly wage, subject to a maximum amount. The maximum rate payable for temporary total disability changes each October 1, based on the current National Average Weekly Wage for the affected period. Compensation for permanent total disability is adjusted each October 1, based on the percentage change in the national average weekly wage from the previous year, subject to a maximum adjustment of 5%. The current maximum compensation rate is $1510.76. It will be adjusted again October 1 of each year. The basis for this is the Defense Base Act courts have recognized the danger and risk faced by DBA workers. The reality is DBA employer's pay higher wages in order to provide incentive for DBA workers to encounter these hazards and risks. When a DBA worker is injured after being enticed to work in a dangerous environment in return for higher wages, it is disingenuous to suggest that his earning capacity should not be calculated based upon the full amount of the earnings lost due to the injury. If you aren't receiving temporary disability benefits or permanent disability benefits at the proper compensation rate you need to request the Defense Base Act insurance carrier provide you benefits at the proper AWW/ compensation rate. Be sure to also ask for retroactive benefits you are owed at the proper compensation rate. As always, you need a proof of service. If, or rather, when the insurance company doesn't change your compensation rate - including providing your retroactive benefits at the proper compensation rate - request a Telephonic Emergency Informal Conference with the U.S. Department of Labor. As always when you are communicating with the Department of Labor, be sure to copy the insurance company adjuster and use a proof of service. Finally, as of the date of this article, the issue of DBA average weekly wage when the Claimant has worked considerably less than a year is currently pending with the Court of Appeals. Thus, caution is advised pending the Court of Appeals decision(s). 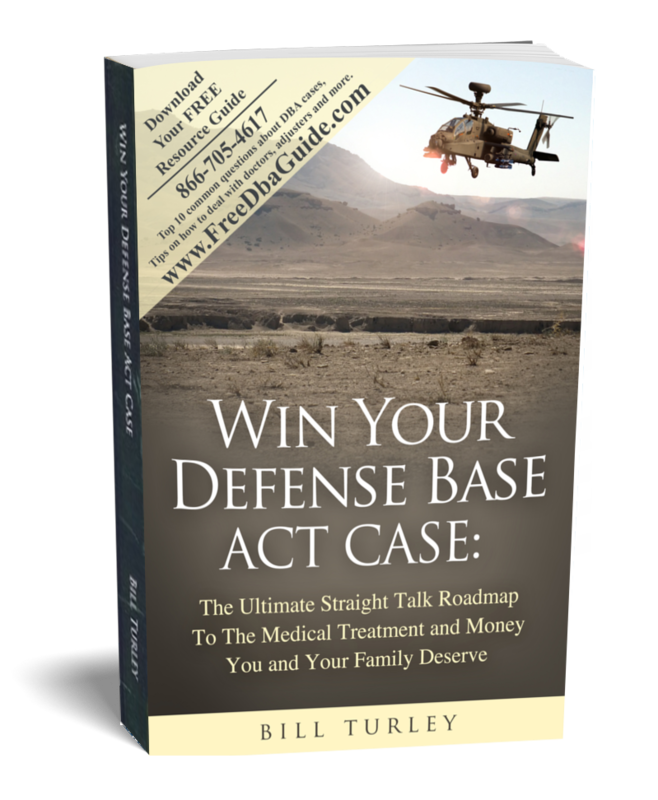 I strongly suggest you order a free copy of my book, Win Your Defense Base Act Case: The Ultimate Straight Talk Roadmap To The Medical Treatment and Money You and Your Family Deserve. I will send it to you for free and cover shipping. The book has plenty of great 5 Star reviews on Amazon, and it is a guide to only help you succeed in your case. The best way to get the Defense Base Act facts is this book. A ‘Must Have’ for any person who is currently or thinking of working in any overseas contractor position. Written for those who are not familiar with DBA, this book shows how to go through the process from reporting to conclusion of benefits. Mr. Turley has put this whole process into a readable and understandable format that shows step by step the process needed for a positive outcome. I would recommend everyone to read the book before you take that job oversees as a contractor so you have a better understanding of your rights and expectations. Mr. Turley gives you the facts needed to have a successful conclusion should you have the misfortune of being injured. Be armed with the best information available so you and your family can be protected. When the odds are against you and there is nowhere else to turn then call the Turley Law Firm!!! This book is a very informative guide to help you thru your case and it provides more than adequate information on your rights. I recommend this for anyone that has served and has been thru what I've been thru. As a veteran and public servant I suggest you buy this book and take in the knowledge. DBA case: It's a Chess game, not checkers. Bill Turley and his staff have gotten this process down, and there book is your only starting point. I highly suggest you start reading this ASAP to get familiar with what’s going to happen. And if you’re smart acquire them to represent you. I honestly believe you need them on your side if you really want to win this thing. The staff is amazing, to the point, and sharp. So start digging in!